We’re back with another Magento maestro; Rafael Correa Gomes. He is not only famous for being awesome in the Magento community, but he is also one of the most experienced professionals. He works as the Lead Software Engineer at Imagination Media. What’s even better is that Rafael was also featured amongst the top 50 Magento contributors of 2018. We thought it’d be cool to have a chat with him, so we caught up with him and asked him a few questions: Let’s read on to an insight into his personal and professional life. Muneeb: First things first. Let’s start with your career. When did you have the first taste of a profession? Rafael: Hey, it’s great talking to you guys, I’m excited already. I am a Brazilian from Sao Paulo. I started my career working with design and development for simple websites in my city. I got my big break when I had a chance to work with Magento 1.4. I knew a little bit about the features, but I never got my hands to test it, even then I accepted the challenge. For me, the flexibility to create a store that I could get more involved with was impressive. I also had the opportunity to teach about it in particular classes for the developers living in cities around. After some time I moved to São Paulo. There, over the weekends and during the nights, I taught about Magento in the school of Brazilian Ecommerce Association and started to organize the Meet Magento Sao Paulo, with a friend. During the week, I was working with a Magento Partner as a software engineer. I used to organize events that helped me gain valuable experience. I noticed that I could generate more value for the community by optimizing what I do in my day-to-day life. I developed tools and collaborated with the solutions that I used during my workday. I also managed to become a Magento Master 2018, and then, won the Magento Innovations Lab Award. Muneeb: Wow, is there anything you haven’t achieved? Can you tell us more? Rafael: Yeah, I’m now an Ecommerce Evangelist for Imagination Media, and you may find me loitering around or doing Magento stuff in either Brazil or the US. I code every day, and I also keep in touch with our partners and customers in order to improve the company’s strategic workflow to deliver better results every day. Muneeb: But, why you chose Magento, when there are so many great ecommerce platforms out there? Did you face any ups and downs through this? Rafael: Of course. Nothing worthy in life comes easy. When I started, I had a chance to work with some SaaS platforms and with Magento. After lots of hard work that involved hours of extensive research and discussions – with merchants – it was the power of the platform and its features that impressed me a lot. Also, the size of the community and the open source friendliness of it took me by surprise. Muneeb: Nice. What about learning Magento? Did that come easy? Rafael: I had many issues related to the learning curve, and I didn’t have a team to help me. I had to start it up all by myself through testing, spending nights to understand some concepts to provide solutions for my clients, as quickly as possible. Nowadays we have more platforms. 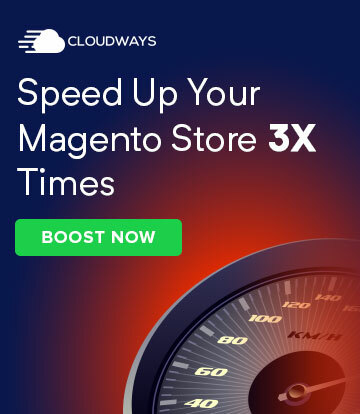 I don’t disagree that other platforms have some advantages in some cases, but Magento’s ecosystem has been even better, providing innovations, and the most important thing, flexibility to adapt the system to different business rules. Rafael: Flexible! For me, this flexibility begins with the open source platform and Magento’s community. The fusion of both makes an ecosystem that provides different solutions and customizations in accordance with each business’ requirements and necessities. Muneeb: Do you have any tips for newbie developers? Rafael: First of all, learn about things before you need them to work for you. Train yourself to predict them, practice new skills by engaging in personal real-life projects. Use Github a lot. Be involved with open source projects and learn how their workflow works. So yeah, lots of tips actually lol. Muneeb: You were featured amongst the 2018 top 50 Magento contributors. What does this mean to you? Rafael: It’s an honor. I love what I do, and to be one of the top 50 personalities in the world, who are an integral part of Magento’s ecosystem is truly amazing. Muneeb: You developed the Magento DevSearch extension. What was your inspiration behind developing it? Rafael: Yes, I surely did. 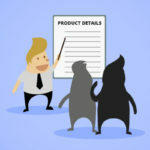 I collaborated with other open source projects, and I managed to see things that we don’t have for the Magento community as compared to other communities. 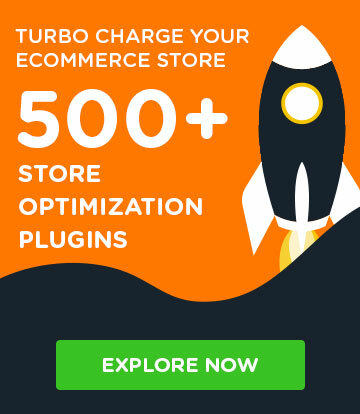 I wanted to modernize the Magento store and bring it up at par with the best in the business, so I tried as hard as I could. 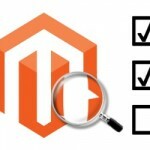 My efforts eventually led to the development of Magento DevSearch extension. Muneeb: Where do you see Magento going in the next 5 years? 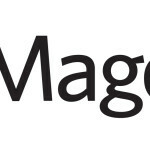 Rafael: I see Magento becoming more like Adobe in the next five years, and I’m pumped up because of the progress. I’m also working with Adobe’s open source community for a while now, and I’m loving the fusion. I also see Magento getting more tools and integrations through Adobe, and the Magento community receiving more incentives and recognition. 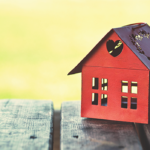 I can also foresee the platform being more resilient – as we have different innovation threads – growing in Magento’s Github to become part of the core. With the fusion between Adobe and Magento, the developers will be able to work more cohesively to encourage more development that would, in turn, help Magento become robust, reliable and more secure. Muneeb: Since you’ve been working with Imagination Media for over a year, what do you like the most about the company? Rafael: Imagination Media is an amazing organization. I like having a disruptive workflow, as it enables faster growth for the company, the developers, low bureaucracies, with fewer hierarchies, and more productivity resulting in happier clients. 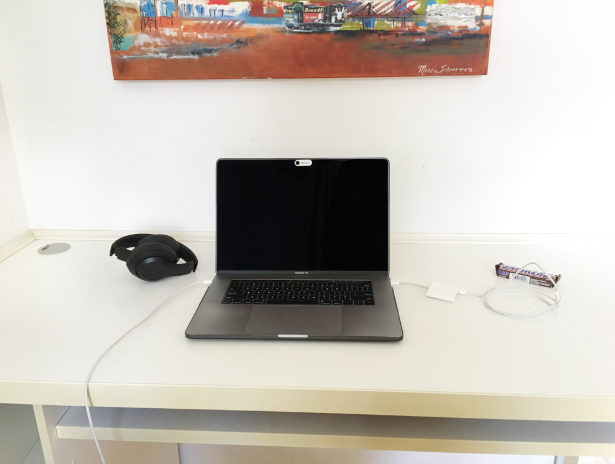 Muneeb: What does your workspace look like? Muneeb: Give us a few words of wisdom about the Magento community. Rafael: I talk to many enthusiastic contributors who need assistance every now and then and would like the Magento community to be more inviting than ever. I want to help and support others to learn a new skill every day and share it with the community so that others can take advantage of it as well. Muneeb: Everyone has someone who they look up to. Who’s your inspiration and who do you look up to for personal and professional aspiration? Rafael: My parents. At the beginning of my development career, I was inspired by seeing references from the web development community in Brazil, and global tech leaders such as Steve Jobs, for example. Through my Magento development career, I felt inspired professionally by the CEOs of the companies for whom I had worked. As for Magento’s community, I felt inspired by Vinai Kopp and Alan Storm. For now, let’s keep Magento aside. We’ve got some questions off topic. Rafael: Sure, I was living in Sao Paulo, Brazil at that time. I was married and looking for activities for couples. Now, I am not a dancer, but my wife loves it. That’s why we started our first class practicing the Brazilian dance style called Sertanejo Universitário. After some time, we started learning our second one called Zouk. We don’t practice so much these days, but we had pretty good moves on the dance floor. I couldn’t imagine that something that I didn’t have interest would be such a nice experience. Muneeb: If you weren’t a Magento dev, what would you be? Rafael: I would be an online merchant since I had two online stores. I miss the experiences and the challenges that I faced, helping my customers learn more about my business. Muneeb: What was the funniest thing that ever happened during a project? Rafael: This is nearly impossible to answer. The team is a bunch of playful guys. We take our work seriously, but not ourselves. We have some internal memes and jokes that make everyday fun. Rafael: I like to spend my free time with my wife, or at the gym, either dancing or watching series. Muneeb: And the last one, who would you like to be interviewed next on Magenticians? Rafael: I would like to nominate Vinai Kopp. You can connect with Rafael on Twitter and LinkedIn.